Brazil is home to many jewels, from the exquisite scenery to it’s delicious food and diverse people. There’s something for everybody in this magical place. This is a country where animal lovers can sight of sea turtles and spinner dolphins. Divers and surfers flock to Brazil’s amazing sea. Foodies feast on it’s rich sea food and the list of things to do goes on and on… Brazil has so much to offer that listing only 10 destination was an extremely difficult task, but lo and behold, are the 10 we picked. 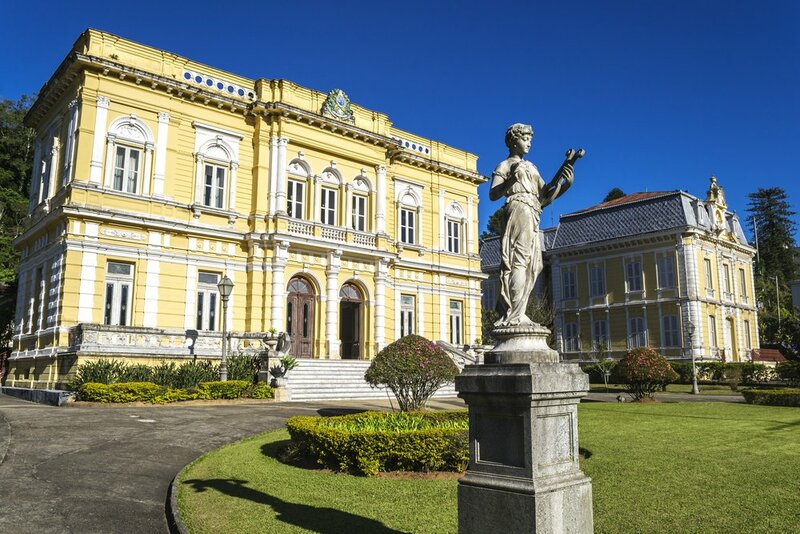 In the middle of the Petropolis is the former summer palace, with all its grand and glory, as reflected by its design of the 1800s. The Brazilian Imperial Crown is on display here along with the Imperial Carriage. It’s just 70 km from Rio de Janeiro, and since it is arguably the country’s most famous museum, more than 300,000 tourists visit every year. At the age of 95 years old, Oscar Niemeyer still had his sights on the future. It was at this advanced age that he finished the Museum of the Eye, which focuses highly on the art of the times, design and architecture. People revel at its four story exhibit. Even today it remains a mystery to where the water that fills up the “Blue Lake Grotto” comes from. And beneath the deep cavity, which is around 200 feet deep, lies numerous skeletons of prehistoric creatures. They were discovered back in 1992 by a Franco-Brazilian expedition. Reports say among the bones found were of saber-tooth tigers and huge sloths. 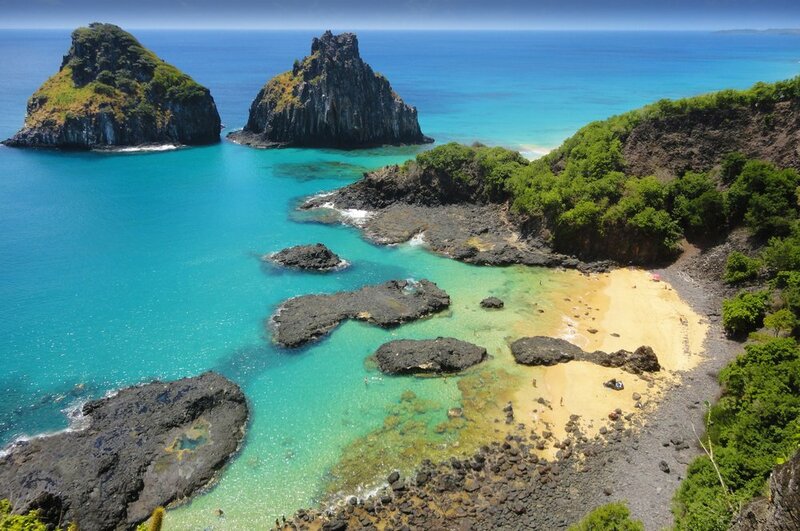 Many tourists aim to visit a small island called Fernando de Noronha, where there’s a sanctuary that protects spinner dolphins and sea turtles. But the local government has decided to control the number of guests allowed in it at a time (less than 500). That way, the ecology of the place is better maintained. Also, a certain tax for Environmental Preservation is imposed. The island is 354 km off the coast of Pernambuco. Journey back in time when the priests of Companhia de Jesus and the Jesuits first introduced Christianity to the country during the 17th century. Follow the Mission Route (Rota das Missoes) down south and visit the ancient cathedral that the Guarani natives had built for a decade. 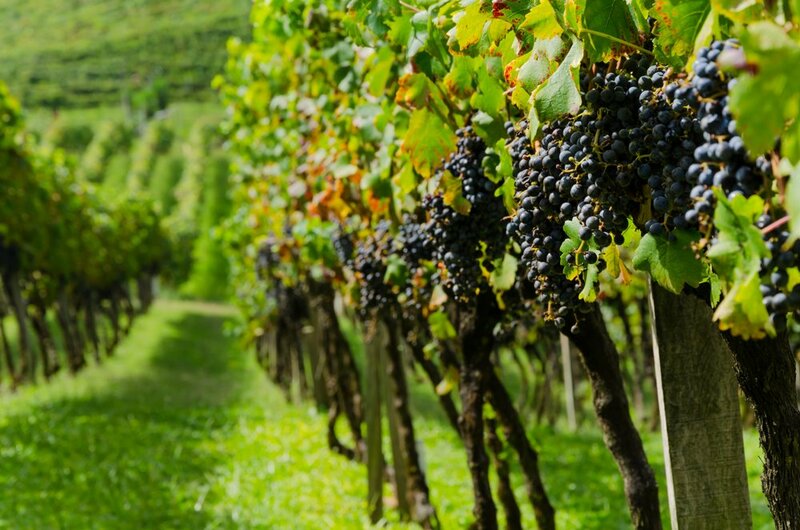 There is a large stretch of land surrounded by valleys, rivers, and hills that is the Grape and Wine Route in southern Brazil. It is so huge that it covers twenty-four municipalities. The rural landscape is dolloped with cantinas, wineries, restaurants, and art shops. If you’re wondering why Bento Goncalves has a special liking for fine wine and good food, historically, this was one of the places of Italian immigration into the country during the 19th century. Between Cidade Alta and the Cidade Baixa in Salvador, Bahia, is an elevator that connects the two towns. This was the first elevator ever installed in the country back in 1873. This historic 2-car elevator was artistically decorated in 1930. It had been restored and upgraded into a 4-cabin carrier, and for only 10 cents, people can have a trip to and fro the two places that lasts for 22 seconds. The Cathedral of Brasilia can accommodate around 4,000 people. It’s another masterpiece by Oscar Niemeyer. It stands at around 40 meters high, and it is covered with glass from the floor to the top where the sunlight strikes and permeates the whole space. It is buttressed by 16 columns that radiate from its apex. 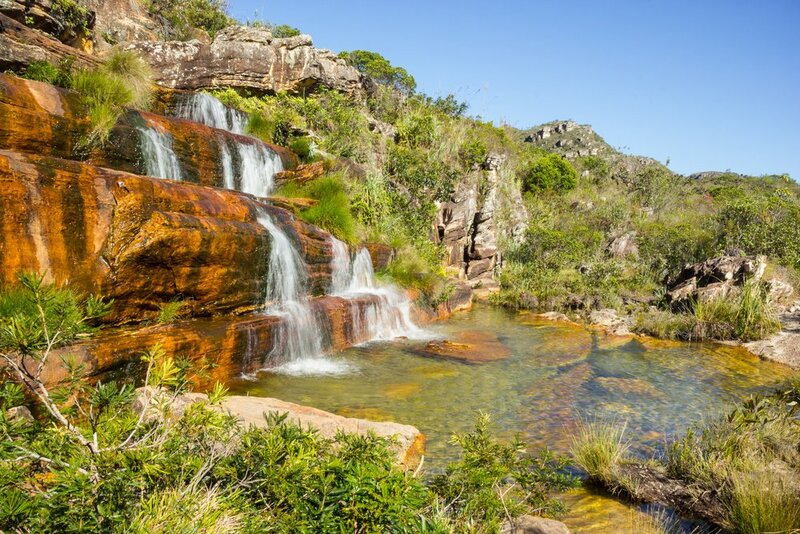 The flora and fauna of Chapada Diamantina is one of the richest in Brazil, located in Bahia State. This used to be home to the Maracás Indians in early times, but it was infused with explorers and adventurers in the 1700s who came to Brazil in search for gold and, later on, diamonds. It is now filled with rich wildlife. There are 50 orchid species listed there, as well as wild cats, large anteaters, birds, snakes, and even armadillos. Just an hour’s drive from Recife is one of Brazil’s most breathtaking beaches. People flock to Porto de Galinhas for a chance to dive with loggerhead turtles. It’s shores are clean and the waters are as blue as the sky, and it’s a great diving destination. There are wooden rafts you can rent, and these “jangadas” will take you to the sea where rich coral reefs are located underneath. I Hitler dreamt of becoming an artist, a dream different from what his father had in mind. Unfortunately in 1907 and 1909, he was rejected twice by the Academy of Fine Arts Vienna. II Hitler received a number of accolades for his active service as a WWI veteran. He received the Iron Cross, Second Class in 1914, he received the Iron Cross, First Class in 1918 and he also received the Black Wound Badge on May 18, 1918. III Hitler was arrested and imprisoned in 1923 when he and a number of others attempted a coup to overthrow the government. He was able to write a memoir titled Mein Kampf (My Struggle) while serving time in prison. IV After Henry Ford, Charles Lindbergh was the next American to receive Hitler’s award but Lindbergh did not share Hitler’s hatred of Jews; he simply recognized Hitler and his style of government as a superior power. V The leading psychoanalyst of the 1930's, Carl Jung, studied Hitler’s style of writing and concluded that Hitler was a complex character and his handwriting showed that he was a man endowed with basic feminine instinct. VI Hitler’s unreasonable love for chocolate inspired his plot to kill the then Prime Minister of Britain, Winston Churchill, by thinly plastering dark chocolate on a bomb and presenting it as a gift; this, however, did not work.